Internet connection - Quick start guide from the Raspberry Pi Foundation. The 1-Wire temperature sensor has different versions for sale; one with a resistor integrated into the sensor and the other without. For this tutorial, we will work with both versions– with and without resistors. No matter which 1-Wire you choose for your system, make sure to double check any connections are properly based on the below diagrams and photos. Please follow the table below to make the right connections for your 1-Wire temperature sensor with resistor. The resistor in this setup is used as a pull-up for the data-line, and should be connected between the data wire and the power wire. This ensures that the data line is at a defined logic level, and limits interference from electrical noise should the pin be left floating. NOTE: The positive leg of the LED is usually longer, and it is this leg which should be inserted into the left side of the breadboard (e1 on the diagram). 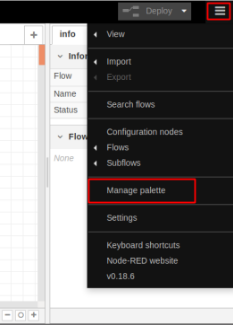 Ubidots already built a Node-RED library including two new “nodes” in the pallete to handle data from/to Ubidots MQTT Broker. In order to install the Ubidots nodes, simply follow the steps below. 1.1. Once the command is inserted wait a couple seconds until the Node-RED server starts running. As you can see on the image below the terminal logs lets us know the device IP and port where that the Node-RED server will be pointing. 2.1. 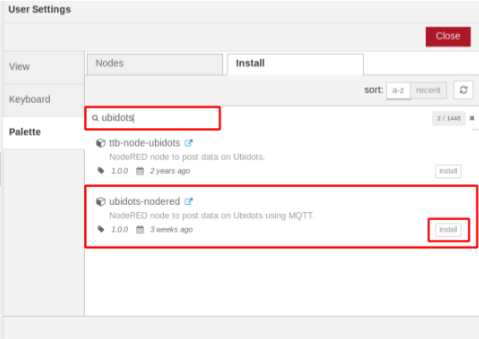 To install the Ubidots Nodes, go to the “Install” tab. 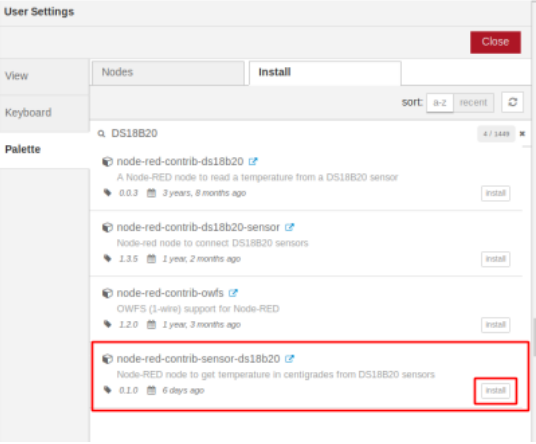 Now with the Ubidots nodes already in the palette, is time to install the node “node-red-contrib-sensor-ds18b20” which is in charge of the sensor readings provided by the sensor connected. 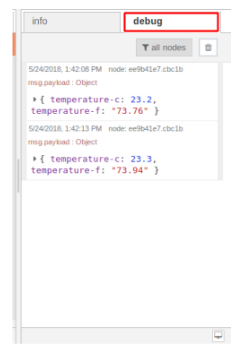 NOTE: This node is compatible only with the Raspberry Pi Hardware and it only reads the temperature values from the sensor. 1. The interface for 1-Wire must first be enabled. Insert the command below in the Raspberry Pi terminal to begin the 1-Wire enablement. 1.1. Then, in the following windows go to Interfaces and then to 1-Wire and enable. 1.2. To finish, reboot the Raspberry Pi by running the command below. 3.2. Assign the name desired for the MQTT client. In this case, RaspberryPiUbidots is the default. 3.3. Assign your Ubidots TOKEN. 3.4. Assign the device label desired for the device. In this case, raspberry-pi is the default. 4. Once the parameters of your Ubidots node are properly configured, you will have something similar to the following. To save the changes, press the Done button. 5. 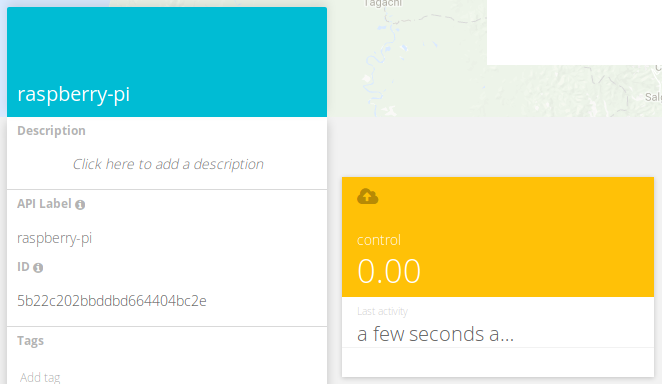 Now it is time to deploy the flow and publish data to Ubidots cloud. For this, just press the Deploy button located at the upper right-hand side. 7. [OPTIONAL] If your desire to debug the messages incoming from the nodes, you can activate the debug node by pressing the “tabs” icon located on the right-side of the node. As you can see below, the node located on the left side is deactivated meanwhile the one of the right side is activated. 9. If you desire to change the device name to a more friendly one and you don’t know how, please reference the following guide. You can also change the device description icon with this simple guide. Once the names and icons are updated to your liking, launch your application to end-users using Ubidots User Management. 2. 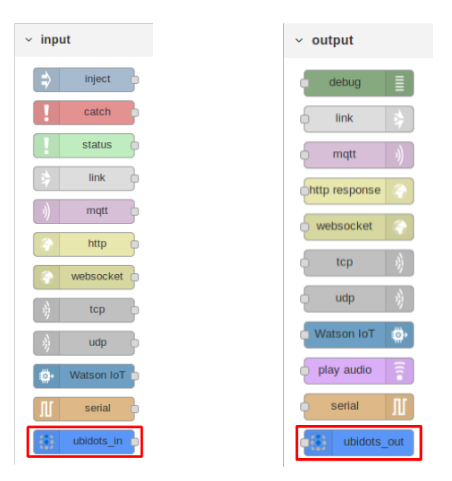 Assign your Ubidots TOKEN where is indicated in both Ubidots nodes. 3. Now it is time to deploy the flow to start controlling the LED from Ubidots Cloud. Press the Deploy button locate at the upper right-hand side of your Node-RED interface. 4. The behavior presented in the first Ubidots node is “Connecting...” then “published”. At this point, a variable called "control" is created in the previously device created. This variable will be used to control your devices - in this case an LED. 7. [OPTIONAL] If your desire to debug the messages incoming from the nodes, you can activate the debug node by pressing the tab located at the right side of the node. As you can see below, the node located on the left side is deactivated meanwhile the one of the right side is activated. 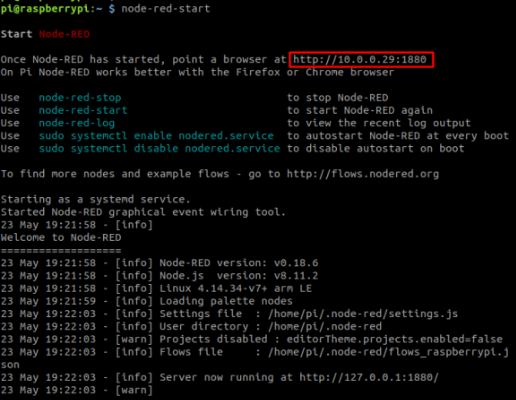 To check the debugging messages, select the debug tab from the Node-RED console. Now that you are able to publish and subscribe data to/from Ubidots, is time to create your customize Ubidots Dashboards to visualize, interpret your data, and control assets remotely.